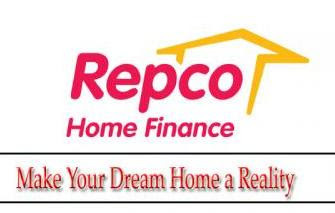 The Repco Home Finance Ltd housing finance company head quartered in Chennai, Tamil Nadu, is recruiting Branch Managers / Branch Staff (Clerical) for it's Kolhapur and Borivali branches of Maharashtra state. The selection will be based on Walk-in-Interview scheduled to be held on 9th December 2017 (Saturday). For Branch Head: To Head the Branch in all areas of branch work such as sourcing of business, operations, collections and ensuring profitability of branch. For Branch Staff (Clerical ): Overall branch operations including business sourcing and recovery. Any Graduation (10+2+3 format) from a UGC recognized university. Post graduation & professional qualification shall be given additional weightage. Minimum 3 years experience (for age not exceeding 28 years) in Housing Finance/Retail Lending /marketing of financial products (Home Loan) / branch operations in HFCs/FIs. Exposure in housing finance is a must. Experience of heading a branch will be preferred. For further age relaxation, commensurate additional experience would be required. Extensive in-depth knowledge of local market with good networking capacity with builders / developers is a must. Age not exceeding 25 years as on 01-11-2017, (maximum relaxation for 5 years will be considered with commensurate relevant experience). Any Graduate preferably B Com (necessarily preceded by SSLC (or equivalent) and HSC/ Diploma) with minimum 50% marks from a UGC recognized University. Graduates from Open University will not be considered. Fluency in Marathi (read, write & speak) besides English and Hindi is must. Early joining will be preferred. For recruitment in all cadres, candidates (internal-applying for lateral entry / external) having pending disciplinary action against them at the time of applying for the position or having been punished under disciplinary proceedings in last 5 years will not be considered eligible. All appointments are subject to satisfactory reference / background verification.